Dish's bid values Clearwire at roughly $5 billion. Dish Network kicked off a bidding war with Sprint on Tuesday, making an offer to acquire wireless broadband provider Clearwire. Dish has offered to purchase Clearwire for $3.30 a share, a 13% premium to Clearwire's closing price Tuesday of $2.92 and 11% higher than Sprint's $2.97 offer last month. 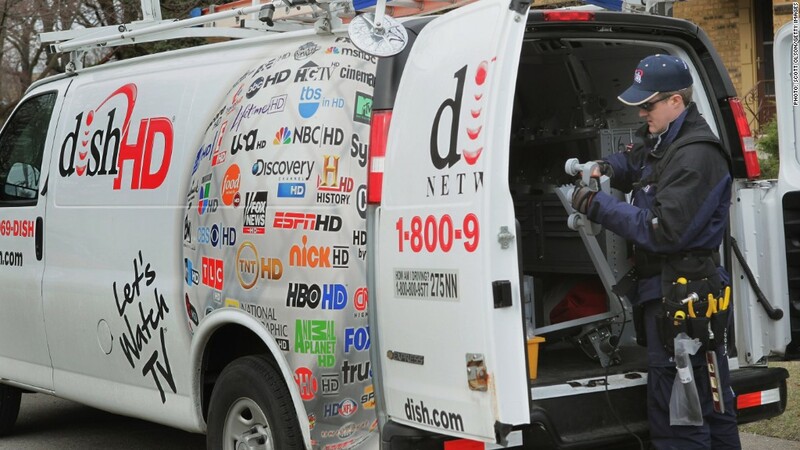 Dish's bid values Clearwire at roughly $5 billion. Shares of Clearwire (CLWR) were halted ahead of the announcement before rising 9.3% to $3.19 a share in after-hours trading. Dish (DISH) shares were flat after hours, while Sprint (S) was down 2.4%. Clearwire said its board will consider the Dish proposal, but noted that it "is only a preliminary indication of interest and is subject to numerous, material uncertainties and conditions." The proposal includes a request for "multiple contractual arrangements" that "may not be permitted under the terms of Clearwire's current legal and contractual obligations," Clearwire said. Sprint already owns a 50% stake in Clearwire, and the acquisition has been a key concern of Softbank, the Japanese tech giant that announced in October that it would purchase a majority stake in Sprint. If Clearwire and Sprint close their transaction, Sprint would own the rights to the largest swath of wireless spectrum -- the invisible infrastructure of airwaves over which wireless signals travel -- of any carrier in the country, by a factor of two. Spectrum is a finite resource and a crucial asset for wireless competition. Dish's offer signals that the satellite television company has aspirations of broadening its business and competing with telecom heavyweights like Verizon (VZ) and AT&T (T). Sprint said its own offer for Clearwire was "superior to the highly conditional Dish proposal." "Sprint does not intend to waive any of its rights and looks forward to closing the transaction with Clearwire and helping consumers across the country realize the benefits of this combination," the company said in a statement.